Meet the Dermatologist from Ludhiana, Dr. Jyotisterna Mittal. Dr. Mittal is a gold medallist in MD from GGS Medical College, Faridkot. She topped in Punjab medical entrance exam and completed her MBBS from Government Medical College, Patiala . She also has keen interest in research and publications. She has two international and one national publication to her credit. She is a member of Indian Association of Dermatologists Venereologists and Leprologists (IADVL) and Nail society of India. Her patients remember Dr. Jyotisterna Mittal as a caring and helpful doctor. They find her knowledgeable, well-reasoned and practical. She treats patients with various types of ailments like skin infections, hairfall, stretch marks, acne, oily skin as well as serious ailments like skin allergies, leprosy and many more. 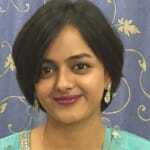 Dr. Jyotisterna Mittal has answers for all the queries of her patients. She answers them in detail and provides valuable suggestions. The medicines prescribed by Dr. Mittal are accurate and provide quick relief to her patients. For teenagers and young women facing dermatological problems, Dr. Mittal has some practical suggestions which enable them to overcome many skin problems they face. Dr. Mittal has earned the love and affection of her patients through her sensible and caring nature. She is a thorough professional in every aspect. Many people gave very positive feedback for Dr Jyotisterna Mittal. She is a very practical doctor. She treated me without any surgery and all. I was panicked, because I never thought I will suffer from hair patch like this. The entire Dr Jyotisterna Mittal was spotlessly, clean. Dr Jyotisterna Mittal has all the latest technology in place to handle severe cases. I had lost hope, but the hair patch given by Dr Jyotisterna Mittal has helped me regain my confidence. With the help of her treatment for hair patch I am feeling so great. Dr Jyotisterna Mittal is not just friendly, but also is very motivating. The guidance she gave me has helped me immensely with my situation. I was shocked to experience the symptoms of female hair loss. I must say the hygiene was maintained very nicely in the Dr Jyotisterna Mittal. During the complete female hair loss treatment program she always supported and motivated me. I am so happy with the results of my treatment, that I will surely recommend Jyotisterna Mittal to anyone gladly. The symptoms were severe and unmanageable, as I was suffering from hair fal, but Dr Jyotisterna Mittal was able to handle it. I owe her a big thanks for making me fine again. I must say the hygiene was maintained very nicely in the Dr Jyotisterna Mittal clinic. My boss referred me Dr Jyotisterna Mittal. I had lost hope, but the hair growth treatment given by Jyotisterna Mittal has helped me regain my confidence. It was nice meeting her. Is Dandruff The Reason For Your Acne? Acne is a skin condition that happens when pores get clogged with dead skin cells and oil, giving rise to pimples. It can be caused by numerous reasons like hormonal changes, improper diet, stress, consumption of specific drugs, excessive use of cosmetic products etc. In addition to these factors, acne can be caused by dandruff too, which may not be known to most of you. It has been observed that people who suffer from dandruff problems are more prone to getting pimples. How does dandruff cause acne? Dandruff has been associated with presence of yeast or fungi, it is also associated with abnormal skin ultrastructure. Dandruff makes the skin on your scalp flaky. These dry flakes of skin are often responsible for clogging the pores on your face, mostly affecting your forehead. In this way, dandruff triggers appearance of acne and can worsen the condition of your skin if you already have pimples. Though acne is more common among teenagers, acne due to dandruff is mostly experienced by people above the age of 20. How can you prevent acne due to dandruff? Eradicating dandruff from your scalp is the best way to prevent acne breakouts on your skin due to dandruff. Here are some simple ways to keep acne due to dandruff away from your skin. Keeping hair off your face will ensure that dandruff doesn't come in contact with your skin and clog pores, preventing pimples. For this, you can use hair bands or tie your hair in a ponytail or braid. Brushing your hair at least two times a day will ensure that the dead cells on your scalp are removed and don't get a chance to clog pores. This option is highly beneficial in getting rid of acne caused by dandruff. Topical medicated solutions like a medicated shampoo should be used as a treatment. Short contact period of shampoo with scalp is important for more benefit. Good conditioner should also be used after head wash with shampoo. If you wish to discuss about any specific problem, you can consult a dermatologist. There are many commonly occurring fungal infections of the skin like athlete's foot, ringworm, yeast infection and jocks itch. These infections are caused because of warm, moist and humid environment which is ideal for fungal growth. There is no need to worry, as all these conditions are treatable with topical ointments and medicines. Redness, blisters, softening or breaking down of skin. Peeling, cracking and scaling of feet. 3. Ring worm: Ring worm is a fungal infection which can occur anywhere on the skin. It is circular in appearance and often cause the surrounding skin to become scaly. Symptoms are common as of most fungal infections. Ring worm can be treated with many over the counter creams. 4. Yeast infection: They occur when yeast on the skin grows more actively and causes a red, scaling, itchy rash on the skin. Yeast infections are not contagious. It is especially common among people who are obese or who have diabetes. People taking antibiotics are also at risk of such. Yeast infection is one fungal infection with most varied symptoms. Dry Hair: 9 Remedies For it! Tangled and dry hair cause a lot of anxiety to a number of people, men and women alike. There are however, several kinds of remedies available for rough and dry hair. To this effect, the markets are flooded with cosmetic products that guarantee assuaging hair damage. There are several factors that contribute to the increased roughness of hair. Nutrition deficiencies in diet, exposure to polluted water and dust feature among the most conspicuous reasons. Besides, use of chemicals and heat for styling of hair also substantially damages the quality of hair. Sufficient care is imperative to maintain the richness of hair. While many opt for expert treatments at salons, a few home based solutions always come handy while beating the bad hair day blues. Avocado: Avocado is perhaps one of the most trusted fruits when it comes to skin and hair care. Replete with essential vitamins and minerals, avocado work wonders in restoring the luster to your hair. Mashing avocado with an egg and then applying it on wet hair, smoothes dry and damaged hair. Butter Massage: Applying butter to rough and damaged hair a while before shampooing can repair the damage caused to the hair by pollution and chemicals and enhance the smoothness and shine. Olive Oil: Among the other curative traits of olive oil, one of the most testified qualities is its moisturizing prospects. Rubbing the hair with warm olive oil and leaving it for an hour before rinsing it off, may yield favorable results. Tea: As incredulous as it may sound, your good old tea can impart the much needed shine to your rough, dry hair. Using freshly brewed tea as a final rinse after shampoo can enrich the texture and the color of your hair. Mixing Egg with your regular shampoo: As a protein rich supplement, egg can provide your hair with the required about of protein and thus, work as a viable remedy for dry hair. Blending your regular shampoo with eggs can result in tangle free, smooth hair. Botanical oils: Oiling is one of the most trustworthy methods of hair therapy. Using oils made from olives, jojoba and almonds is crucial for restoring the luster and smoothness of hair. Mayonnaise: As appetizing it may be on burgers, Mayonnaise can be used as an important source of proteins for damaged hair. Massaging the hair gently with a dollop of mayonnaise before washing it off with lukewarm water has proven to be a useful therapy for dry hair. Banana and Honey Mixture: Being rich in the essential salts, Banana, when mixed with honey and hair oil is extremely beneficial to dry and damaged hair. Regular use can effectively restore the smoothness and shine of the hair. Beer: Beer is an excellent for conditioning of hair. It repairs and nourishes the roots of the hair. Epidermolysis bullosa simplex is a genetic disorder that results in the skin turning fragile and blister prone. Any small injury or friction created due to rubbing of the skin might lead to blister formation. In some cases, blisters may occur inside the mouth and on the cheeks.Normally, the cause of the disease is linked to defective genes. The condition is usually inherited and the symptoms start flaring in childhood. In some cases, the symptoms start during the early twenties. 1. Junctional epidermolysis bullosa: This is a severe form of epidermolysis bullosa that usually develops during birth. The condition is characterized by hoarse and unusual crying sounds and scarring in the vocal chords. The genes that attach the epidermis to the basement become defective and thus, cause blister formation. 2. Kindler syndrome: This type is characterized by blister formation across all layers of the skin, but its symptoms tend to disappear with time. This condition is known to cause discoloration of the skin when exposed to the sun. 3. Dystrophic epidermolysis bullosa: This is caused by a defect in the gene that causes problems in collagen formation. This results in complications as the skin doesn't join properly. This disease may cause various complications such as sepsis, skin infection, anemia, constipation and dehydration. An infant, who has a severe form of epidermolysis bullosa, may not be able to survive due to widespread blistering and infections that may drain all the body fluids out drastically. If you wish to discuss about any specific problem, you can consult a dermatologist and ask a free question. We all have different skin types. While some have dry skin, others have oily. So if you have oily skin, then here are 5 tips to keep in mind, to keep your skin oil free. Oily skin is usually a constant problem in every season since even after washing the face properly it becomes very oily after some time. And, if some cosmetic is applied, then also it makes no difference, the skin remains as oily as ever. Now dermatologists offer various solutions to this problem. Even though you might come across home remedies like the sugar and lime scrub or yogurt, turmeric paste, it is always better to seek professional help for oily skin. Oily: This skin type has too much oil, which can be seen on the face even after cleaning it. Dry: The dry skin lacks essential moisture and looks very dry. Normal: The normal type of skin is neither dry, nor too oily and not too sensitive also. Sensitive: Sensitive type skin is very sensitive and is easily affected by weather changes or any other factor. Combination skin: Combination skin is, in which some parts of facial skin are dry and others are oily. Use non comedogenic and powder based cosmetics. Here we are going to deal with the oily skin type and its treatment. Oily skin appears to be greasy and teenagers often face the problem of oily skin during their puberty. Oily skin can also be caused due to heredity, diet, hormone levels, cosmetics usage and humid or hot weather. According to dermatologists, diet plays an important role behind oily skin. Consuming oily or fried food or having too much oil in your diet can be the reason behind your oily skin. Weather can also make your skin oily. Humidity especially causes the oil to come out of the pores and give your face a greasy look. Use a gentle face wash or cleanser and reduce the use of toner: Use a gentle face wash to wash your face at least twice a day to reduce the oil levels. Also reduce the use of toner, and if you use toner then try using an alcohol free one. Keep yourself hydrated: Keeping yourself hydrated is very important as the face starts releasing oils if the skin is not hydrated properly. Try the home remedies carefully: You might not know the exact concentration of lemon in a sugar lemon scrub, as excess of lemon can cause allergic reactions. So apply home remedies with discretion. Consult a dermatologist for quick solution: We all know that a doctor knows the best cures to all our ailments, so try consulting your dermatologist for a quick solution to your problem of oily skin. Related Tip: "Oily Skin and Summers: What Is the Ideal Way to Handle It?" I am suffering from severe hair loss from a year .it is telogen effluvium. Please suggest me how it can be cured. Daily shedding of upto 100 hairs is normal" excessive hair fall can be due to male pattern baldness, physical illness or mental stress in the past 3-6 months, low serum ferritin or nutritional deficiency, certain medical conditions like thyroid and other hormonal disorders. Hairfall may also be seen after cosmetic hair procedures like chemical straightening. So appropriate blood tests for ruling out above conditions may be done if indicated. Take a nutritious and protein rich diet (pulses, milk products, eggs). Avoid routine application of gels or frequent blow drying of your hair. Use a sulfate free shampoo for your hair twice a week. Biotin containing hair supplements can be taken for 3-6 months. I am 25 year old female. Due to weight gain I have got stretch marks on my arms and legs which look quite weird. Can you suggest me how to remove those old marks and prevent new ones from coming? Hi! stretch marks are formed in areas of rapid growth spurt or weight gain, due to side effects of certain medications or other medical conditions. Treatment will depend on whether your stretch marks are new or old, colour reddish or whitish. You may put up 2-3 clear pictures of the affected area for proper evaluation and guidance you can apply emmolients like coconut oil/olive oil and vitamin e for the time being. I am 18 years old girl I have facing hairfall very much I have tried many anti hairfall shampoo but it does not work today onwards I used himalayan anti hairfall shampoo does it work. Hi! daily shedding of upto 100 hairs is normal" excessive hair fall can be due to male pattern baldness, physical illness or mental stress in the past 3-6 months, low serum ferritin or nutritional deficiency, certain medical conditions like thyroid and other hormonal disorders. Hairfall may also be seen after cosmetic hair procedures like chemical straightening. So appropriate blood tests for ruling out above conditions may be done if indicated. Take a nutritious and protein rich diet (pulses, milk products, eggs). Avoid routine application of gels or frequent blow drying of your hair. Use a sulfate free shampoo for your hair twice a week. Biotin containing hair supplements can be taken for 3-6 months.